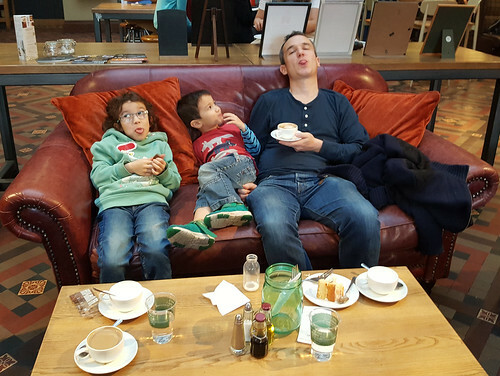 From last weekend, here is my charming family enjoying hot drinks and cake in the cafe at the Birmingham Art Museum. I had hoped there might be at least one shot among the thirty-odd I took in which everyone had a nice smile on. This entry was originally posted at https://nanila.dreamwidth.org/1209837.html. The titration count is at .0 pKa.